Part historical detective story, part family history, part legal thriller, Philippe Sands guides us between past and present as several interconnected stories unfold in parallel. The first is the hidden story of two Nuremberg prosecutors who discover, only at the end of the trials, that the man they are prosecuting may be responsible for the murder of their entire families in Nazi-occupied Poland, in and around Lviv. 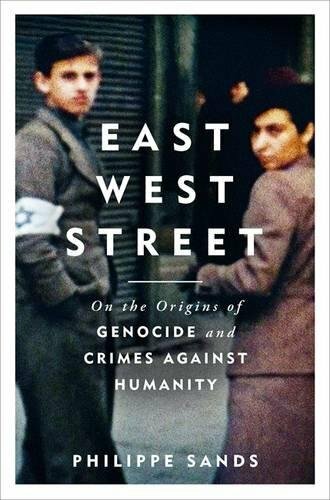 The two prosecutors, Hersch Lauterpacht and Rafael Lemkin, were remarkable men, whose efforts led to the inclusion of the terms 'crimes against humanity' and 'genocide' in the judgement at Nuremberg. The defendant, Hans Frank, Hitler's personal lawyer and Governor-General of Nazi-occupied Poland, turns out to be an equally compelling character. The lives of these three men lead Sands to a more personal story, as he traces the events that overwhelmed his mother's family in Lviv and Vienna during the Second World War. At the heart of this book is an equally personal quest to understand the roots of international law and the concepts that have dominated Sands' work as a lawyer. Eventually, he finds unexpected answers to his questions about his family, in this powerful meditation on the way memory, crime and guilt leave scars across generations, and the haunting gaps left by the secrets of others.